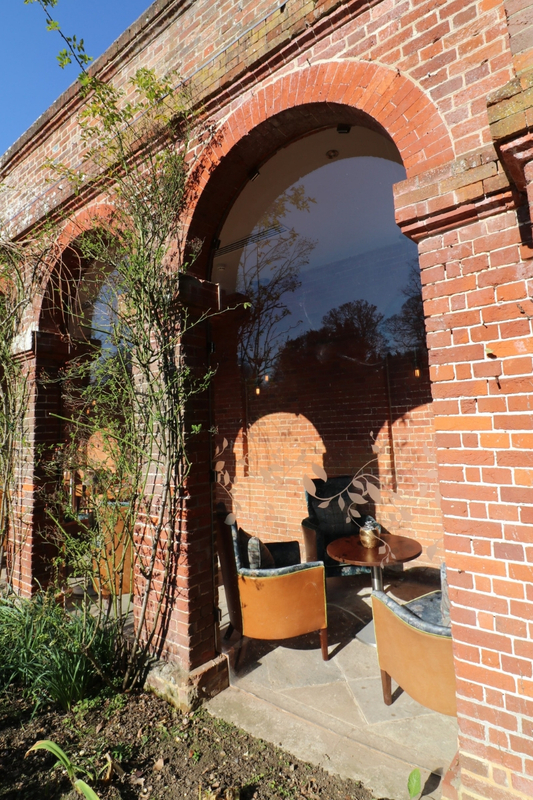 Bespoke glazed panels installed in a series of arched openings, creating an enclosed seating and dining area in what was formerly an open loggia to the side of the hotel. 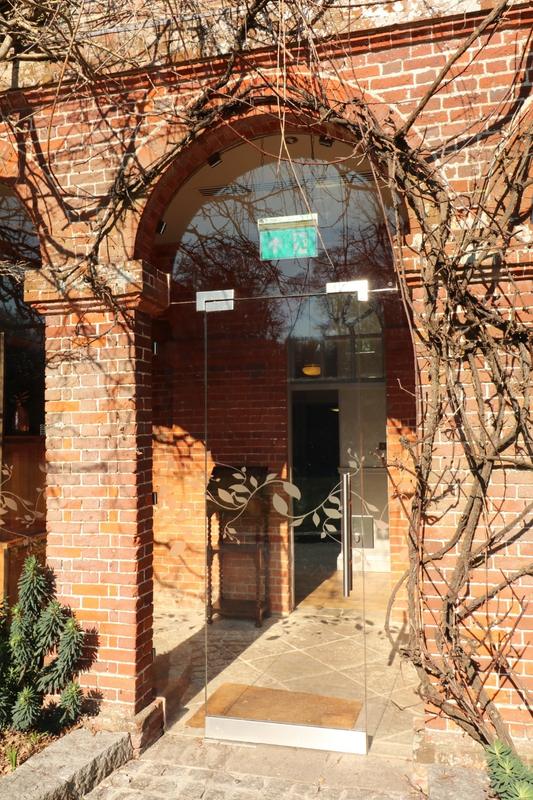 Six bespoke glazed panels cut to the individual shape of each arched opening with a further archway including a secure glass pivot door set between fixed sidelights with an overhead glass transom panel. 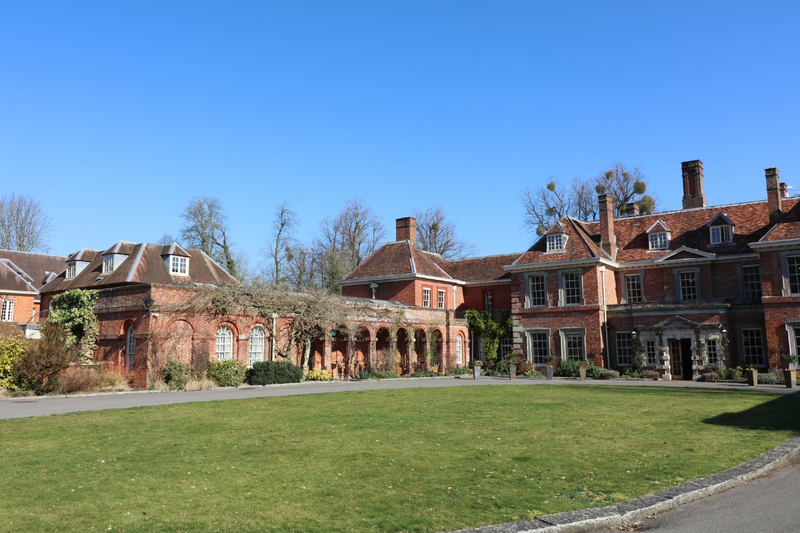 Lainston House is a luxury 17th Century hotel, part of the Exclusive Hotels group, situated just outside Winchester. Set in extensive grounds, it offers luxurious suites, fine dining, bespoke meetings and weddings. 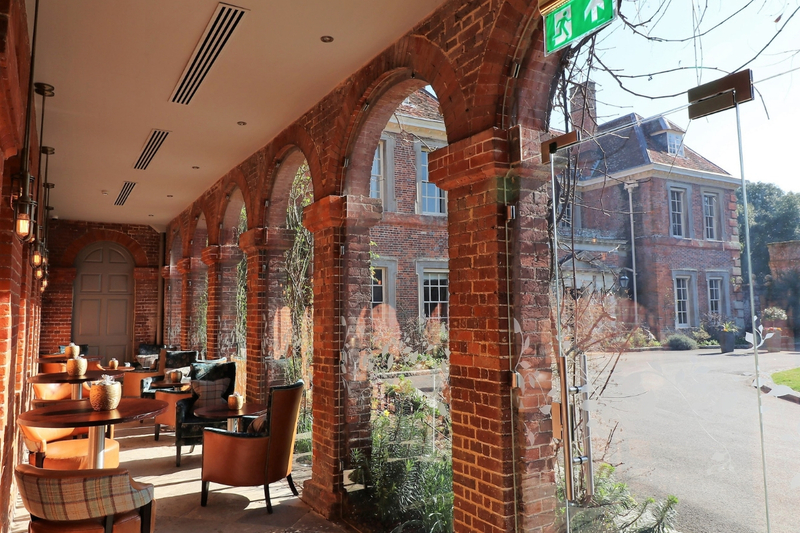 The loggia was previously an open walkway to the side of the hotel, with little or no practical purpose. 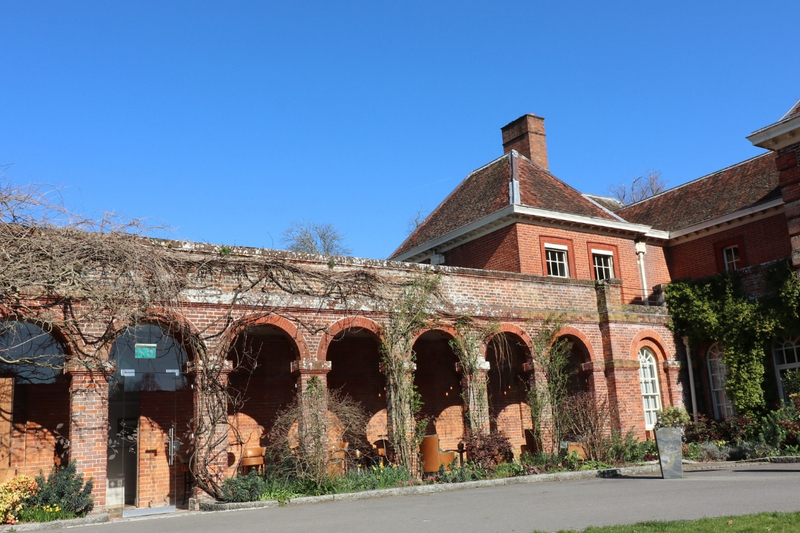 Ion’s brief was to enclose each arch with a single panel of glass and to install a secure glass door to one archway to provide external access to the gardens. 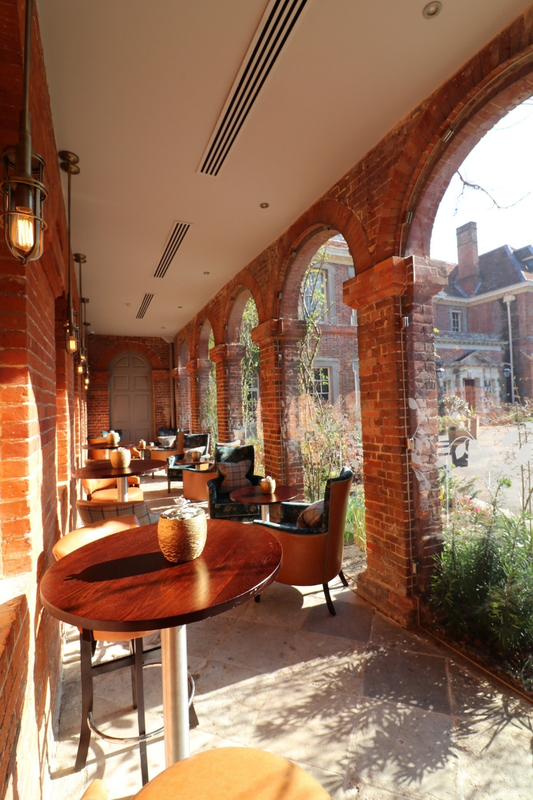 Enclosing the archways with individual panels of glass converted the loggia to an integral space for pre-dinner drinks, informal dining, afternoon teas or meetings. 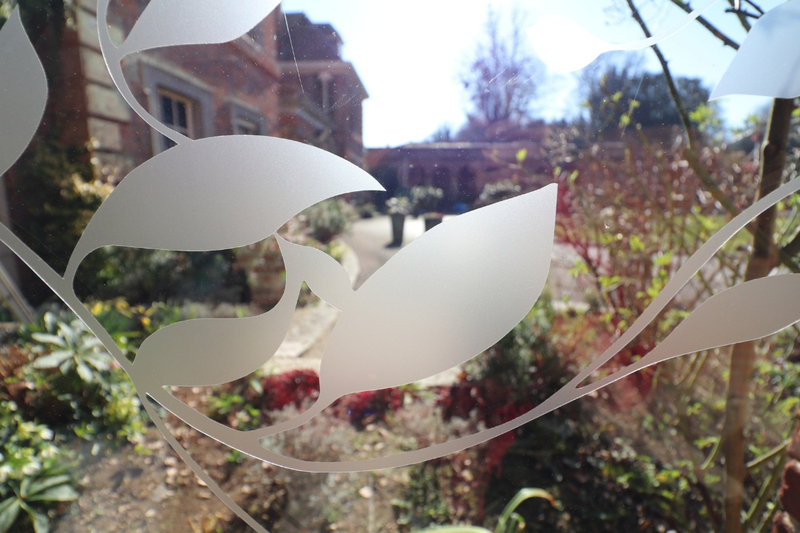 The glass panels were finished with an artistic glass manifestation reflecting the garden setting of the loggia. 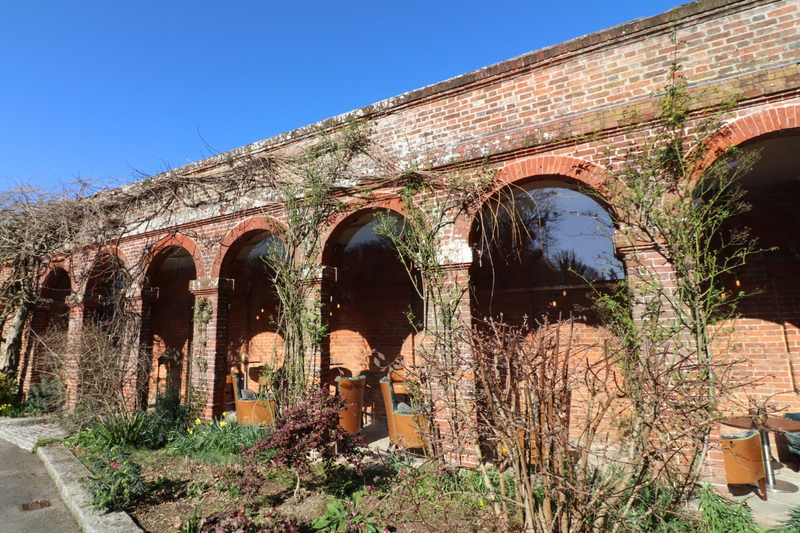 Six arched panels of glass were manufactured to the individual shape of each arched opening: despite the arches looking visually identical they are constructed from stonework and brick, dating back to the 17th century and there is much variation in the precise measurements. 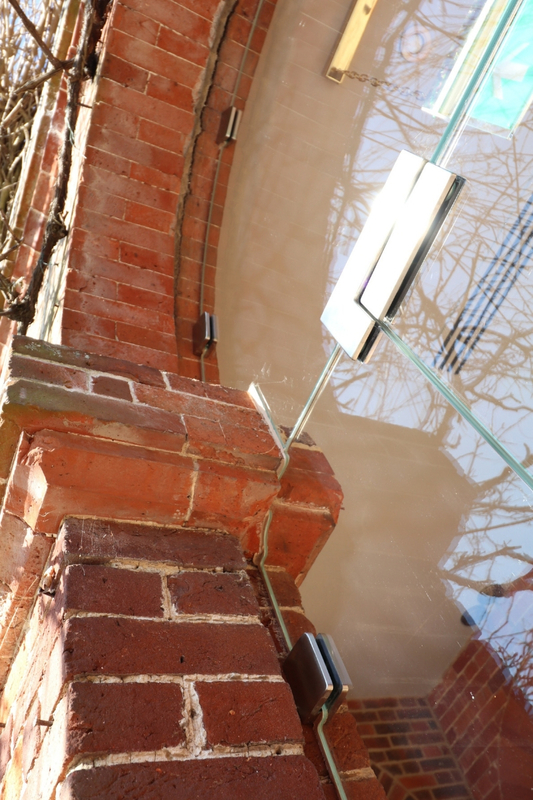 Ion Glass used digital measuring technology to produce accurate templates, ensuring the glass panels fit perfectly around the individual brick corbels. 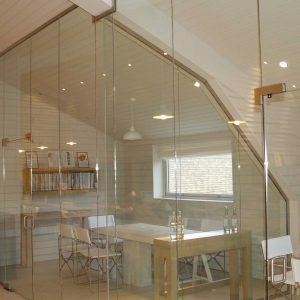 To ensure compliance the panels were supplied in 13.5mm thick in laminated and toughened glass: there was also a stipulation from Historic England that anti-reflective glass should be used for this installation. Ion selected Schott Amiran glass to fulfil this requirement, however there was also a requirement to use 13.5mm toughened laminate glass to meet the loading criteria, which meant laminating 6mm Amiran to 6mm low iron glass. 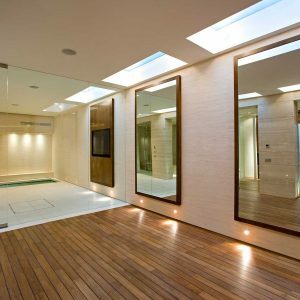 The use of anti-reflective glass to create large single panels was additionally challenging as standard Amiran panels are only 25mm greater than the arches themselves, requiring accurate computer-controlled cutting of the glass to create the exact size needed. 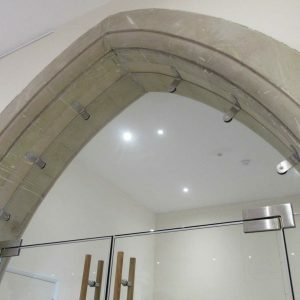 The glass panels are fitted to the surrounding stonework using satin finished stainless steel clamps: in order to meet the listed building requirements these had to be visually unobtrusive, whilst still sufficient to hold the glass securely. 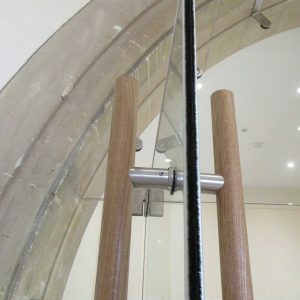 Each arched glass panel also had to be set at a slight angle (2-30 out of upright) to further minimise the reflectivity. 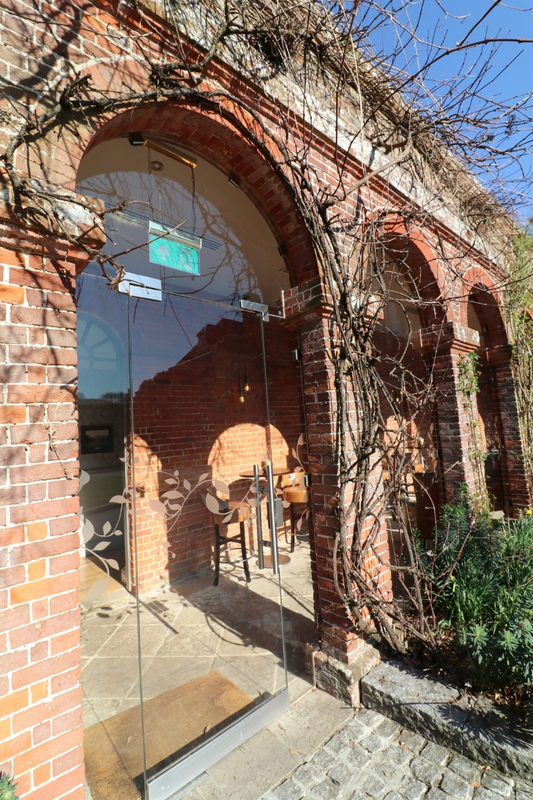 The final arch includes an external glass pivot door with sidelights and an overhead transom panel, providing direct access to the loggia from the gardens. 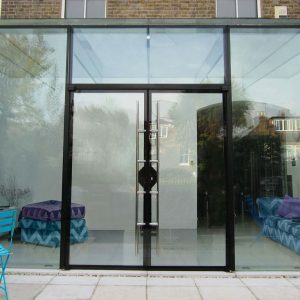 The door is set onto a hydraulic floor spring and includes a secure locking system; the glass side panels and transom are fixed with steel clamps to match the other arched panels. 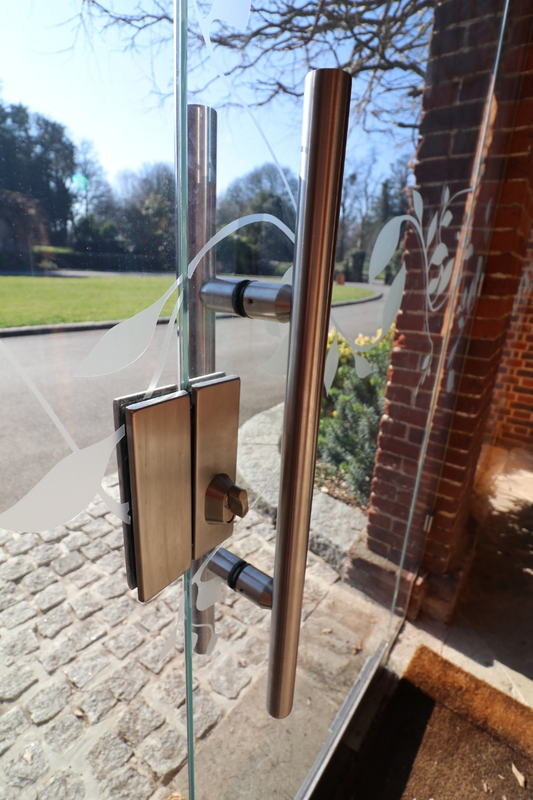 All the glass features a bespoke glass manifestation with a floral design in keeping with the style of the hotel.